Happy Holidays To All. See you for '08 kick off issue on January 11, 2008! ON THE TRAIL?...Fresh from beat boxing his thank-you's at Grauman’s Chinese Theatre in Hollywood where he placed his hand and footprints, Will Smith recently announced to the New York Post he's ready to hit the campaign trail with Barack Obama. So hyped is he, Smith called Obama up and offered his services as a campaigner. No word when or if the I Am Legend star will hit the road for Obama, but as the campaign heats up more and more African Americans in Hollywood and beyond seem to be aligning themselves with political change. In fact, even celebrated writer/actress/director Maya Angelou recently (we're sure to her "daughter" Oprah's surprise) came out in support of Sen. Clinton. The real test will be just how much influence Black notables will have with voters. ALL MY LADIES...We hate to keep saying we told you so--but whenever television creates relevant and thought-provoking programming for African-Americans they will watch and increase overall profitability of companies. That's what NBC found out with the NBC Nightly News special series "African-American Women: Where They Stand" (Nov. 26-30). 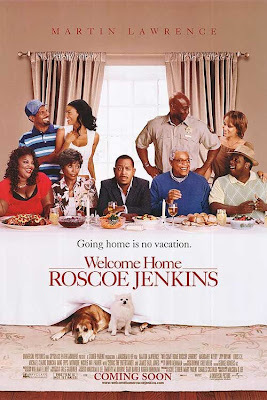 According to NBC, the series delivered 74,000 more black viewers than usual, and 70,000 of them were women. In all it reached 863,000 African-American viewers--a boost of 9 percent. Some 535,000 African-American women tuned in--an increase of 15 percent. "It is obvious there is a hunger on the part of Black women to see their issues discussed. 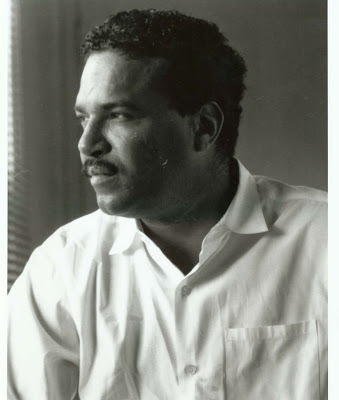 The e-mails that circulated in advance of the show were reminiscent of the days decades ago when Black people would call each other every time a Black person was on television," notes Richard Prince, who writes about diversity issues in the news business for Robert C. Maynard Institute for Journalism Education. "[But] I'm not sure that networks always enjoy ratings boosts when they do more socio-politically geared programming to people of color. After all, isn't that BET's argument when asked why it doesn't do more serious programming? That it doesn't get the ratings? Perhaps the questions isn't whether "serious" programming compels viewers but how tuned in to culture the producer crafting the show truly is. The proof seems to be in the pudding. DAMAGING TESTIMONY...There's a fight in Congress, and we're not referring to the one about the war. Seems the National Association of Black-Owned Broadcasters ( NABOB ) is slamming Arbitron, a radio audience research company that collects listener data on radio audiences. Late last week, NABOB exec director Jim Winston testified to the House Subcommittee on Telecommunications and claimed that the Arbitron rating system, which monitors radio, was results bias and underrepresents African-Americans ages 18-34 demographic. He stated that the system is "a greater threat to the survival of minority-owned media than even the FCC's threatened media-ownership rule changes." Winston's testimony was to proceed that of Dan Rather, who was to testify as well but the committee decided to delay the hearings until further notice. We'll keep you posted. WORK IN PROGRESS... Want news on yet the latest reality show to be produced? Well, executive producer Vernetta Jenkins has something interesting in the works with actress LisaRaye. The premise? Inside the life of international heads of state. You see, for those who don't know, LisaRaye McCoy-Misick is not only an actress but also holds the title of current First Lady of the hot Caribbean destination Turks & Caicos. Now, the pilot's working title is "The Premier and I,” and Jenkins, who is also the show's co-creator, tells The A-List, "The show documents the love story of LisaRaye and her dignitary husband Premier Hon. Dr. Michael E. Misick. It will illustrate the real life comedy of their unique 'opposites attract' story, along with LisaRaye’s quest to become a great First Lady, all set against the setting of the Turks & Caicos Islands." According to Jenkins, the show will surprise more than a few. "Audiences know LisaRaye as Diamond from Players Club or Niecy from 'All of Us,' but now you’re going to see what makes this woman continue to be in the game and how driven she is...Many aren’t aware of this but she is only the second American citizen in U.S. history, who is an actress, to marry a royal or presidential figure--second only to Grace Kelly!" This will mark Jenkins' first solo producing project. She cut her teeth working as an executive assistant at a number of entertainment outfits such as The Carsey-Werner Company and just about every major studio. "I also worked for one of my personal favorites, Suzanne de Passe, dePasse Entertainment," notes Jenkins. "I found [by working under these execs] I could learn the business of show business," says Jenkins, who also worked as an executive assistant to the executive producer of "The Roseanne Show." "There, I quickly made the jump from assistant to researcher to producer--in less than one year." Having been behind the scenes, Jenkins says there have been some advancements made by African-American women in televsison. "In fiction [television], there are more and more African-American woman who are not only working behind-the-scenes in various capacities as writers but also as show runners evidenced by trailblazers like Eunetta Boone, Yvette Lee Bowser, Mara Brock Akil, Sara Finney Johnson, and of course, Shonda Rhimes," she says. "But when it comes to reality television, there are fewer African-American women who are at an above-the-line level." Jenkins, who launched a production company called Urban media group, aims to sell selling "The Premier and I" to Lifetime. MULTI-TASKING DIVA...After having reaped acclaimed in such films as Hustle & Flow, once she made the leap from TV shows "All of Us" and "The Hugleys," Elise Neal is now making her way back to the small screen-- in front of and behind the camera. Having signed on as a co-star of the Fox drama "KVILLE" right before the writers' strike, Neal will be spreading her wings one of the show's producers as well. In addition, she is hard at work creating and developing several multimedia projects including a reality show based on her R&B group, Assorted Flavors. There's nothing like adding another player to the actress-producer category. Kudos, Elise. THE DINNER PARTY...What do you get when you have Kym E. Whitley ("Curb Your Enthusiasm"), Lela Rochon Fuqua (Waiting To Exhale), actor James Pickens, Jr. ("Grey's Anatomy"), comedian Sinbad, and singing husband and wife duo Chante Moore and Kenny Lattimore over for dinner? Well, Vanessa Bell Calloway is hoping it will turn into an interesting reality show. "In The Company Of Friends" will debut on TV One on Dec. 16. And Calloway is hoping that with viewer support "I can hopefully create more [episodes]," she says. "It will air several times if you should miss it on Sunday...I hope you enjoy my show!!!!!!" This series seems to have a unique opportunity to break bounds should it become a real platform for change but only if it presents both frank and witty dialogue encompassing not only issues within the larger context of African-American lifestyle but also bringing many more issues to light regarding Black Hollywood. We'll be watching. IN THE BLACK...If you didn't make it to Sundance last year, you might not have heard about a new film fest venue especially for Black filmmakers to schmooze. Well, don' fret, the Blackhouse Foundation (http://www.blogger.com/www.theblackhouse.org, www.myspace.com/theblackhouse) will be returning for the 2008 Sundance Film Festival, and we've got the scoop. "Blackhouse is a venue in Park City that runs throughout the 2008 Sundance Film Festival and creates a space for networking and education for Black filmmakers," says Blackhouse Chair of the Board, Brickson Diamond. The board also includes: Dorian Beach, President/CEO of CRE8 Inc., a full service entertainment marketing agency; Gordon M. Bobb, who is currently a senior associate with the entertainment law firm Del, Shaw, Moonves, Tanaka, Finkelstein & Lezcano whose his clients include Jamie Foxx among others; Pauline Fischer, who currently serves as Vice President of worldwide acquisitions for Paramount Pictures; DeMille Halliburton, who has specialized in the commercial and entertainment insurance industry working with film, television and animation production companies; Maurice Jamal, an award-winning, feature-film producer and director; Carol Ann Shine, an Independent/Line Producer; and Ryan L. Tarpley, a Foundation Executive at the Creative Artists Agency. The idea for Blackhouse came in 2006 "when three of the founding board members were sitting in a lounge at Sundance wondering where all the Black people were," says Diamond. "We couldn't even find the folks we knew where in town. In the face of that glaring lack of diversity we decided to create a venue where Bblack filmmakers and the people who love them could gather to build community, get educated on how to more effectively navigate the independent film world and understand the business of film/media beyond the festival and traditional theaters. In the same way that many of us experienced black houses on white college campuses, we wanted to create such a space at Sundance." The Blackhouse Foundation is a Sundance Institute Affiliate; and among the 2008 Sundance Film Festival affiliated sponsors are Stella Artois and 360 Vodka. The Gill Foundation, CAA, BET, HBO and Showtime have also donated to Blackhouse. So if you want to be where the flavor is at Sundance this year, head to Blackhouse. What a crazy year it was. Here's a quick roundup of some of the hottest issues Hollywood faced this year, with our predictions for 2008. Media control: It seems everyone was up in arms about the lack of minority media ownership--from Barack Obama to Dan Rather, who is even set to testify some time soon about the lack of diversity in broadcast media. One of the developments that sparked the discussion was the FCC intention to modify existing ownership rules by allowing greater media market consolidation, which some say will favor large corporations and cut out minority media owners. Prediction: With all this talk, there will be a few steps forward made for minorities in media ownership. But unless small companies are able to raise capital to actually buy outlets, there won't be a major change of scenery. Censorship: With Imus--among others--heating up the discussion about just what needs to be censored and what makes the cut, Hip Hop became the scapegoat. Instead of addressing the root issues behind offensive language, the powers-that-be tried to apply a band aid. But alas, Imus made it back on air--and Hip Hop fought back for its freedom of expression. Prediction: Old heads will continue to blame rap for society's ills, rather than get down in the trenches to actually do some work to change society. And Hip Hop will make more use of new media to still speak the language it wants without being so heavily monitored. Writer's Strike: The free-wielding Internet has created a dilemma for Hollywood. How to compensate writers for downloads, etc. Meanwhile, viewers have to watch reruns, actors aren't working, producers and directors have had their projects stalled. But with Urban Hollywood holding a particularly smaller part of the pie, the strike could be been as even more detrimental in this segment. Prediction: The strike might actually create great opportunities for all in ways we can't even imagine yet. The Perry Machine: Despite criticism of his projects lacking depth and in some cases just being outright terrible, Tyler Perry has risen above it all to become one of the biggest--White or Black--deal makers in Hollywood. Prediction: Though there may be a Perry overload soon, the man seems to know how to make ust the right business twists where networks and studios just can't say no. Still scrambling for business gifts? As we head into the home stretch, The A-List has some ideas for ya. Need to say thanks to a dealmaker's assistant who helped make sure you got on the radar this year? Well, Chocolates by Choclatique (http://www.choclatique.com/) is Hollywood's latest guilty pleasure. Created by a privately owned chocolate company founded by award-winning Hollywood art director/illustrator/director/restaurateur/chef/food consultant/chocolatier Ed Engoron and food marketing executive Joan Vieweger, the goodies were recently featured on "The Rachael Ray Show," and will surly make a tasty stocking stuffer with flavors like "Old World Gingerbread" and "Holiday Egg Nog." And here's the real plus: The company donates proceeds to fight breast cancer. We all know the art of the pitch definitely includes some seduction. Now, here is something which physically embodies the idea. Seduction--the wine. This Napa Valley Bordeaux-style wine from Obrien Estate (obrienestate.com) --which has been featured in Wine Enthusiast and Robb Report--is just that. And even before popping the cork, the alluring packaging will impress. A great gift for your wine-connoisseur execs. This will impress any film buff on your list. It's been called "one of the most deliriously beautiful films ever made." 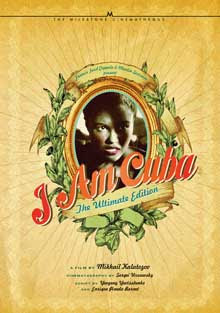 Now Milestone Films (www.milestonefilms.com) has just released a special box set of the classic drama I Am Cuba (directed by Mikhail Kalatozov), presented by none other than Martin Scorsese and Francis Ford Coppola. Started only a week after the Cuban missile crisis, the film was designed to be Cuba’s answer to both Sergei Eisenstein’s propaganda masterpiece, Potemkin, and Jean-Luc Godard’s Breathless. It's been described as a "wildly schizophrenic celebration of Communist kitsch, mixing Slavic solemnity with Latin sensuality,' and has been hailed for its acrobatic camerawork--gravity defying angles and seamless long continuous shots. Looking for the perfect gift for the new parent exec--or close actor friends like Halle Berry? Check out for Baby CZ (http://www.babycz.com/). "The View's" Elizabeth Hasselback, Ben Affleck and Angelina Jolie all have Baby CZ goodies for their offspring. Looking for just the right thing to wear to the studio office party? Well, you might want to check out Hot In Hollywood (www.hotinhollywood.com)--they specializing in "enabling everyday women to dress like ulta-chic celebrities." A little company trivia: The co-prez is Laurie Feltheimers, wife of Jon, Lionsgate CEO/Co-Chairman. Well, that's all folks. Catch us next year!